How do you make the perfect family getaway even better? 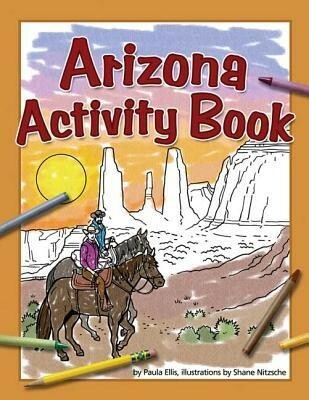 Supply your kids with a state-themed activity book for hours of fun From mazes and word finds to maps and pictures to color--not to mention fascinating information about the region--the Arizona Activity Book is ideal for car rides and quiet time. I'm the author/artist and I want to review Arizona Activity Bk.